Thank you to Nexo Digital for these exclusive, official press kit photos and stills from the film, taken by Agustin Escamez. Scroll down to read the full Press Release. Click on the thumbnails below to view the images full size. Magnificent masterpieces tell the story of Spain and of an entire continent. We are in one of the temples of world art, a site of memory and a mirror to the present with 1700 works exhibited and a further 7000 art treasures preserved there. Its collection tells the story of kings, queens, dynasties, wars, defeats and victories, as well as the story of the feelings and emotions of the men and women of yesteryear and of today, whose lives are intertwined with the museum’s: rulers, painters, artists, architects, collectors, curators, intellectuals, visitors. In 2019, the year of its 200th Anniversary celebrations, telling the story of the Prado in Madrid from the day it was “founded” – that 19th November 1819 when mention was first made of the Museo Real de Pinturas – means covering not only the last 200 years, but at least six centuries of history. The life of the Prado collection began with the birth of Spain as a nation and the marriage between Ferdinand of Aragon and Isabel of Castile, a union that marked the start of the great Spanish Empire. Yet, for a long time over the centuries, painting had been a universal language that knew no boundaries. If there is one museum where it is clear that painting was not affected by nationalism, then that museum must surely be the Prado, with its eclectic and multifaceted collections demonstrating that art has no passports limiting its circulation, that rather it is a universal means to understand and convey the thoughts and feelings of human beings. For this reason, taking the leading role in THE PRADO MUSEUM. A COLLECTION OF WONDERS are its art masterpieces and the great artists who made them, the crowned heads who collected them, but also the European and libertarian inspiration behind a museum and its wealth of art treasures and stories. This is the common thread that runs through the new documentary film written by Sabina Fedeli and directed by Valeria Parisi, a 3D Produzioni and Nexo Digital production in collaboration with the Prado Museum, with the support of the Intesa Sanpaolo Bank Group. THE PRADO MUSEUM. A COLLECTION OF WONDERS, a new event of ArtBeats – Great Beauty On Screen project, will have its world-premiere in Italian theatres on 15th April and will roll out to theatres from Russia and Finland in May, Australia in July, Spain and the US next Autumn to reach over 60 countries. 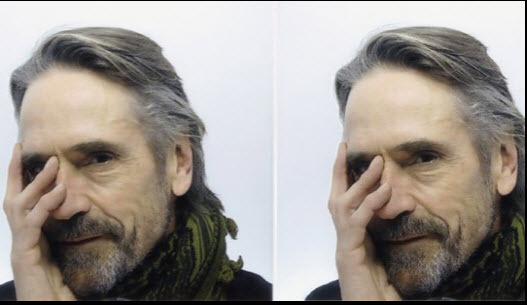 Furthermore, there is an extra-special feature: Oscar® winning actor Jeremy Irons (Reversal of Fortune, Damage, The Mission, Stealing Beauty, The House of the Spirits, The Correspondence…) will be guiding spectators on a discovery of a heritage of beauty and art. Starting from the Salon de Reinos, in a deliberately bare architectural style that comes alive with people, lights and projections, taking the visitor back to the glorious past of the Spanish monarchy and the Siglo de Oro, when hanging from the walls then were many of the masterpieces exhibited today at the Prado. At that time, the space was used for dancing, holding parties and giving theatrical performances. This was a vibrant core of Madrid and of Spain as a whole, as was the Barrio de las Letras, where writers and artists from the Siglo de Oro lived, and, in the 20th century, the Residencia de Estudiantes, where intellectuals from the Generation of 1927 would meet, including Buñuel, Lorca and Dalí. The paintings in the Prado reflect a unique epic era, that gave rise to one of the most important museums in the world. This is a collection put together “more with the heart than the head”, because kings and queens chose only what they loved. It is an inventory of tastes and pleasures that tells the story of public events, dynasties, cardinals, wars and coalitions. It is also an inventory of private matters: a wedding, a lavishly laid table, the madness of a queen. It is a close network of crowned heads, hidalgos, majas y caballeros, each with their lives, truths and messages. It is the story of an era of great patronage, of the Spanish monarchs’ love for the great masters, like Goya, whose strong presence at the Prado is a body of work totalling over nine hundred items, including most of his drawings and letters: correspondence with his childhood friend Martin Zapater. Goya’s art has influenced many modern artists, as is the case with 3rd May 1808, a painting that depicts the effects of the Spanish revolt against the French army. This work would become a symbol of all wars and would give Picasso the inspiration for his Guernica. Like Picasso, Dalì and Garcia Lorca were also captivated by the museum, while writer and painter Antonio Saura, who would continuously go there to bask in its magical atmosphere, called the Prado “a wealth of intensity”. So, this is art that illuminates the present and asks us: what has the Prado Museum been in these two hundred years, what is it today and what will it continue to represent for future generations – this living museum, a beacon for all Spaniards during the dark moments of the dictatorship, and a home to return to for exiled artists and intellectuals? The aim of the authors, consequently, was to tell the story not only of the formal beauty and enchanting appeal of the Prado collection but also about how much the themes of the works exhibited are current today, and how through the history of art, they can also be a narrative of society, with its ideals, its prejudices, vices, new ideas, scientific discoveries, human psychology and fashions. THE PRADO MUSEUM. A COLLECTION OF WONDERS is not only about these extraordinary works of art, which are the heart and soul of the documentary, but also about the landscape, the Royal palaces and buildings that set the scene and saw the birth and development of these art collections. This heritage is universal and includes not only the works of Vélazquez, Rubens, Titian, Mantegna, Bosch, Goya, El Greco preserved in the Prado, but also the Escorial, the Pantheon of the Royal family, the Royal Palace of Madrid, the Convent of Las Descalzas Reales, the Salon de Reinos. It is a fresco contrasting interiors and exteriors, paintings and palaces, brushstrokes and gardens. The birth of the Prado Museum is an engaging story. In 1785 Charles III of Bourbon commissioned court architect Juan de Villanueva to design a building to house the Gabinete de Historia Natural. It would never serve that purpose. The building was transformed into the Museum we know today. Walking through this place of beauty means never ceasing to be amazed, removing prejudices and contradictions, discovering the myths and symbols of a wonderful, sometimes revolutionary, world. It means an interactive exchange through the history of art. It means being enraptured by masterpieces such as the Deposition by Flemish artist Van der Weyden, Adam and Eve by Titian, the Black Paintings of Goya’s later years, Les Meninas by Vélasquez (“The air in Las Meninas is the best quality air that exists“, declared Dalì), El Greco’s twisted, elongated, unconventional figures, The Garden of Earthly Delights by Bosch, which arouses curiosity, expectation, attention in visitors of any nationality and culture, or the work of the Flemish Clara Peeters, who had the courage to paint miniature-self-portraits in her still-life paintings and stake a claim for the role of female artists, or even Ribera’s The Bearded Lady, where a woman, face covered by a thick beard, breastfeeds the new-born baby she holds in her arms. The way the documentary feature develops is by interweaving the art narrative with a study of the architecture and an analysis of valuable archival materials, marked by interviews with various experts from the Prado Museum: Miguel Falomir, Director of the Prado, and the Conservators Andrés Úbeda de los Cobos, Deputy Director of Conservation; Javier Portús, Chief Curator Spanish Painting up to 19th Century, Manuela Mena, Chief Conservator 19th Century Painting and Goya; Enrique Quintana, Chief Conservation Coordinator; Alejandro Vergara, Chief Conservator of Flemish Painting up to 18th Century and North European Schools of Art; Almudena Sánchez, Painting Restorer; Leticia Ruiz, Head of Department Spanish Painting up to 18th Century; José Manuel Matilla, Chief Conservator of Prints and Drawings; José de la Fuente, Restorer of Wooden Panel Paintings. In addition, speakers will include Lord Norman Foster, architect for the Salón de Reinos remodelling project (Pritzker Prize), Helena Pimenta, Director of the Compañía Nacional de Teatro Clásico in Madrid; Laura Garcia Lorca, President of the Foundation bearing her uncle’s name, the poet Federico Garcia Lorca; Marina Saura, actress and daughter of the Painter Antonio Saura; Olga Pericet, dancer; Pilar Pequeno, photographer. THE PRADO MUSEUM. A COLLECTION OF WONDERS is produced by 3D Produzioni and Nexo Digital in partnership with the Prado Museum and with the support of Intesa Sanpaolo. World premiering in Italian theatres on April 15th, it will roll out to cinemas in 60 countries. We thank Patrimonio Nacional and Madrid Destino for their generous participation in the filming carried out in Spain. This event is part of ArtBeats – Great Beauty on Screen, an original, exclusive Nexo Digital project. 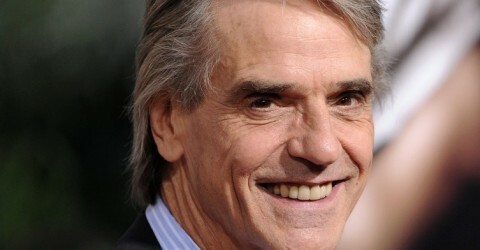 The first trailer for An Actor Prepares, starring Jeremy Irons and Jack Huston, has been released. JoBlo.com also has an exclusive clip from the film (see below). Jeremy Irons portrays a famous, hard-drinking actor who suffers a heart attack and is forced to drive across the country to make it in time for the wedding of his daughter, played by Mamie Gummer. His only hope of making the wedding lies with his estranged son, played by Jack Huston, is a devoted husband and professor who couldn’t be more different from his father. As the two set out on their adventure, they become closer and realize they are more alike than they thought. “Jeremy Irons and Jack Huston make a hilarious father and son duo in this delightful comedy,” said Laura Florence, VP of sales and marketing for Gravitas Ventures. 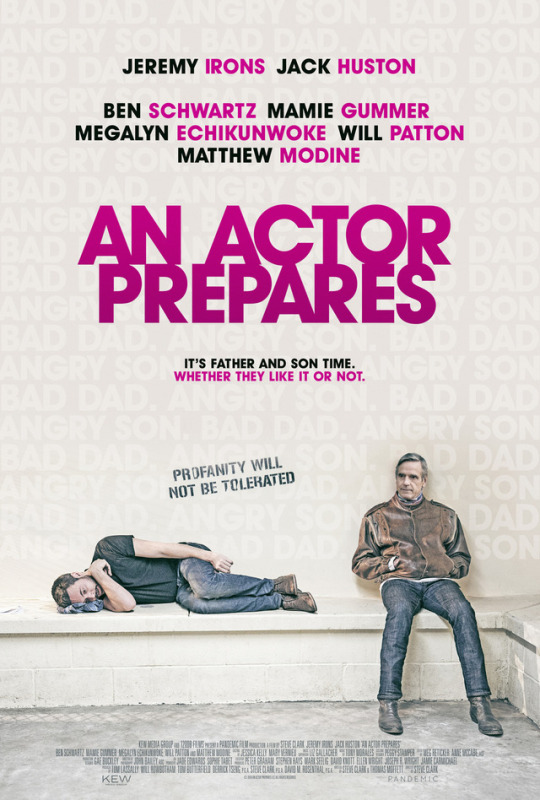 Gravitas Ventures plans to release An Actor Prepares in theaters and on demand on Aug. 31. Jeremy Irons’s upcoming film Better Start Running has a new website which features the first official trailer, photo gallery, clips, interviews and more. Better Start Running also stars Alex Sharp, Analeigh Tipton, Edi Gathegi, Karan Soni, Maria Bello and Jane Seymour. Visit the site using a desktop computer for additional video. Jeremy Irons’s film Better Start Running (formerly titled Monumental) will have its world premiere at the Newport Beach Film Festival on 28 April 2018. The film will screen again on April 30th. The full line up for the festival will be announced Sunday 1st April, when tickets go on sale. Jeremy Irons was present for the Red Sparrow Photocall at The Corinthia Hotel on February 20, 2018 in London, England. He also participated in the Press Conference at Claridge’s Hotel on February 21, 2018 in London, England. attends the ‘Red Sparrow’ photocall at The Corinthia Hotel on February 20, 2018 in London, England. during the ‘Red Sparrow’ photocall at The Corinthia Hotel on February 20, 2018 in London, England. attends the “Red Sparrow” photocall at Corinthia London on February 20, 2018 in London, England.